The Medicare Access and CHIP Reauthorization Act of 2015 (MACRA) changes the way psychiatrists and other physicians working with Medicare patients will be paid. The goal is to reimburse care based on quality and value rather than the number of services you provide. The APA has developed a resource which includes detailed instructions on how psychiatrists can clarify their status under the Merit-based Incentive Payment System (MIPS) and what they can do now to earn higher payments and avoid future penalties. Where Can I Get Help and More Information? The APA Payment Reform Toolkit includes detailed fact sheets and links to recorded webinars. APA members can consult with APA experts by sending an email to [email protected] or calling 1-800-343-4671. To learn about the APA qualified clinical data registry (QCDR), PsychPRO, go to psychiatry.org/registry, sign up on the Sign-up Portal, or send an email to [email protected]. CMS has many resources on the Quality Payment Program website and a “Pick Your Pace” online course on its Learning Management System. Send an email to CMS experts at [email protected] or speak to someone directly by calling 1-866-288-8292. The American Medical Association has a short video, “One patient, one measure, no penalty: How to avoid a Medicare payment penalty with basic reporting,” and other resources on the AMA website at ama-assn.org/qpp-reporting. The Medicare Access and CHIP Reauthorization Act of 2015 (MACRA) changes the way psychiatrists and other physicians working with Medicare patients will be paid. The goal is to reimburse care based on quality and value rather than the number of services you provide. Before the final rule was announced, the APA raised several concerns about MACRAs impact on psychiatry and their advocacy efforts paid off. To break down the new rule, the APA is working on a web-based toolkit and webinar series to help members understand the new MACRA rule. 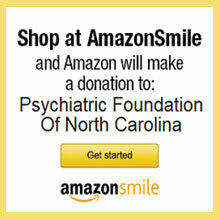 Learn more at psychiatry.org/MACRA. Here are some Frequently Asked Questions that NCPA has been receiving regarding MACRA and payment reform. The APA has great information on its website, so we have tried to answer these questions briefly and then provide the website link that will give you more information. 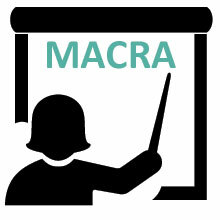 Q: Do I have to participate in MACRA? To figure out whether or not you are exempt, please refer to the CMS website. Clinicians may also opt out of participating in MACRA, this will result in a -5% payment adjustment on your Medicare Part B payments in 2020. Q: What is the Merit-Based Incentive Payment System (MIPS)? The reporting methods for MIPS are the same methods that were utilized in PQRS – e.g. claims, EHR and registry reporting. 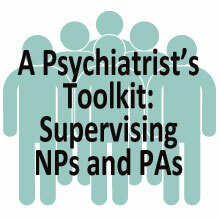 To learn more, download the APA's MIPS Fact Sheet. Q: What is the easiest way to do MIPS reporting? A. The easiest way to do MIPS reporting is to join APA’s national mental health registry, PsychPRO, which CMS has approved as a qualified clinical data registry. PsychPRO will provide tools and reports to help members maximize reporting through enhanced data collection and access to more relevant quality measures. APA members can sign up for free by going to the portal on the APA website. Once connected, PsychPRO does your MIPS reporting for you. Q: What is the Advanced Alternative Payment Model (Advanced APM)? A: An Advanced Alternative Payment Model (APM) is a payment approach that gives added incentive payments to provide high quality cost efficient care. CMS must approval all Advanced APM, examples include Medicare Shared Savings Program Accountable Care Organizations (ACOs) and Next Generation ACO Models. A small number of psychiatrists are expected to earn APM incentives in the early stages of MACRA. 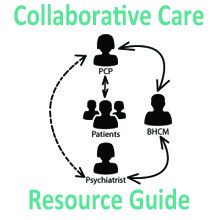 There is currently no mental health/substance use models of care that have been approved as Advanced APMS. To learn more, download the APA's APM Fact Sheet. Q: Will the “pick your pace” reporting continue in 2018? A: 2018 continues many of the flexibilities of the “pick your pace” program but CMS no longer uses the phrase “pick your pace.” To avoid a rate penalty in 2020, clinicians must earn at least 15 points by correctly reporting a selection of measures to CMS, this can be achieved by submitting 6 quality measures that meet data completeness. To learn more, view the QPP Year 2 Fact Sheet. Q: What is the length of time for which one needs to report? A: The “performance period”—or the amount of time on which a physician must report—is 90 days for Advancing Care Information and Improvement Activities and 12 months for the Quality and Cost categories. Q: What is the timeline? What do I need to do first? By when? What next? A: This is best summarized in a graphic from CMS. Q: How much time will it take? A: This will be highly variable depending on the sophistication of your practice, your electronic medical record, and your administrative staff support. Q: Where Can I Get Help and More Information? MIPS combines portions of three quality programs: Meaningful Use (MU), the Physician Quality Reporting System (PQRS) and the Value-Based Payment Modifier (VBM). MIPS also adds a new category of Clinical Practice Improvement Activities. Providers receive payment adjustments based on measures of quality, resource use, advancing care information (EHR use) and clinical practice improvement. APMs include Accountable Care Organizations, Bundled Payments and Medical Homes. Participating in an advanced APM can exempt you from MIPS, and can lead to more favorable financial incentives, including a potential 5% lump sum bonus payment. Choosing an APM requires you to meet quality, financial risk and payer/revenue mix measurements.